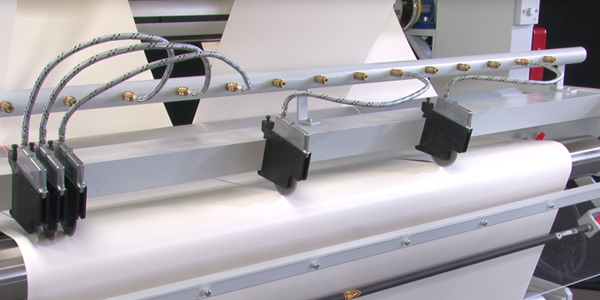 Foil Slitter for the exact and neat slitting of foil, film and paper rolls. What do you like to cut? Feel free to send us samples of your materials for test cuts – we shall then be glad to advise you! 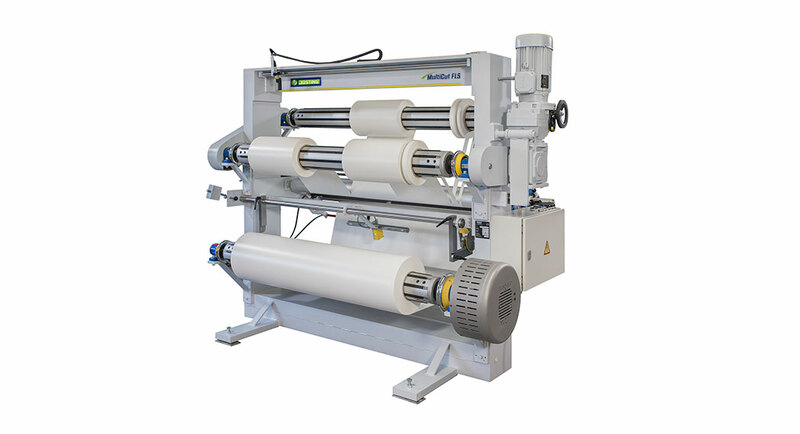 The Foil Slitter RollCut-Master R from Josting is for the exact and neat slitting of foil, film and paper rolls. 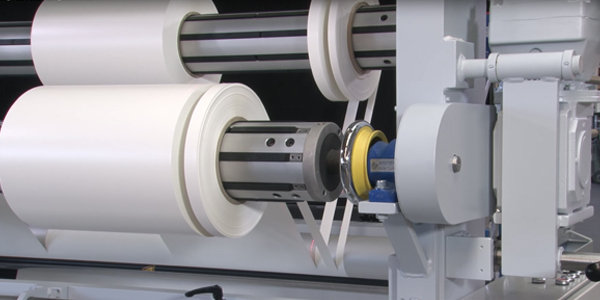 From one wide roll you can make several narrow rolls by rewinding and slitting. A pay-off shaft with brake at the bottom and two powered take-up shafts at the top of the machine results in a compact design. The winding tension can be adjusted and is kept uniform throughout the winding operation by means of a mechanical weight-dependent braking unit on the pay-off shaft. 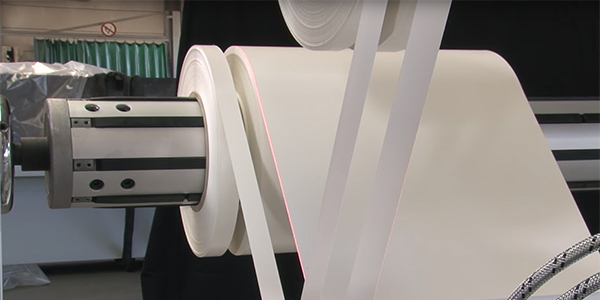 Web guide rolls make sure that the material runs smoothly and is wound into straight-edged rolls. Slitting is performed either by swivelling roller cutters acting on a glasshard drum or by cutter blades, depending on the material. The operating speed is infinitely variable and can be set at the geared motor. Tilting bearings and pneumatic clamping of the winding shafts make for easy handling and short setup times. 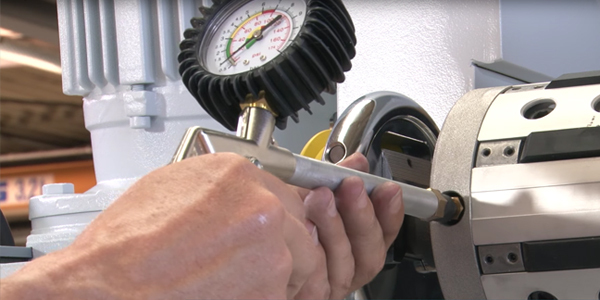 Length selection by electro-mechanical meter counter is possible. Electrostatic charging of the foils and films is eliminated by two ionizing bars. Slitting unit with circular knife for deviding the roll on the pay-off shaft. Positioning of roller cutters by means of the laser guide light.